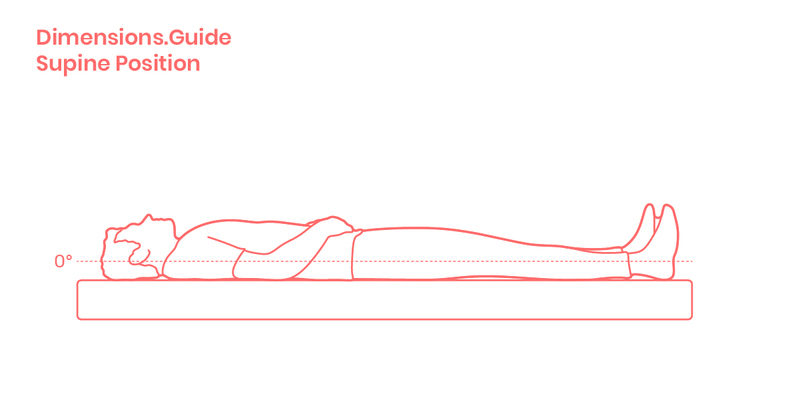 Supine position is a medical position where the patient lays horizontally with face and body facing upwards at a 0° angle of incline. One of the most common medical positions, the supine position is typically used for surgery, while also being useful for treating irregular blood circulation, relaxing the abdomen, and for performing head and neck procedures. Pillows can be used for comfortably resting the head while keeping the neck in a neutral posture. Arms should be placed along the sides or bent towards the center of the body at a 90° angle.